Colm at work on one of the Waterford Whispers video news updates. REMEMBER WHEN NORTH Korea landed a teenage astronaut on the Sun? How about the time Michelle Obama said Irish people were all a bunch of “ugly m***f******s”? Neither of the above events happened, obviously. But even if you haven’t heard of Waterford Whispers — the site the reports originated on — they may still ring a vague bell. The Tramore-based site had its biggest viral hit yet this month as the North Korean story was picked up by outlets across the world (many of whom were duped by the ‘report’, and thought the official regime news service had made the claim). And readers of a conservative Facebook page were taken in by the Obama story last year, with one commenter branding the First Lady a “disgrace” for her reported remarks. “The stories that tend to do best are the ones that people get taken in by — the North Korean story was by far our most popular,” Waterford Whispers founder, editor and chief news reporter Colm Williamson told TheJournal.ie. 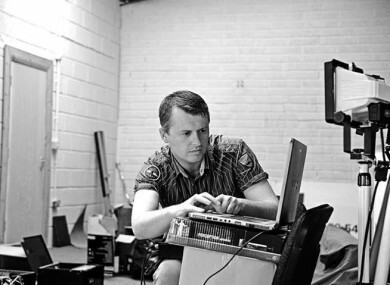 Originally from Tipperary, Williamson has been running the site since 2009. It’s name is a play on ‘Chinese Whispers’: “Everyone has heard of that phrase, where a person tells a story and it gets lost in translation, but that there’s a grain of truth in there people recognise”. After more than three years running the country’s “Number One Satire News Source” as a sideline interest, Williamson’s now taking the business full-time and is hoping to have “four or five” full-time staff by this time next year. A former bar manager, the 34-year-old father-of-one moved to Tramore from Dublin in 2009, and worked “off and on” in the bar trade locally before embarking on a one-year course in journalism at Waterford College of Further Education. When that came to an ended last summer, he had been hoping to take up a mature student place in college — but the plan didn’t work out, and he decided instead to listen to friends advice and move Waterford Whispers to a ’9 to 5′ operation. Williamson said the ‘rocket to the Sun’ story has been viewed almost a million-and-a-quarter times since it went live in the middle of last month. The site’s been running advertising since the start of the year, and he’s now receiving advice on how to land more clients over the coming months. As he dedicates his efforts to improving and expanding the company, Williamson is availing of the Department of Social Protection’s enterprise allowance scheme — which allows people to keep a percentage of their welfare payments for up to two years as they go about setting up a business. Despite that financial arrangement, there’ll be no staff memo from the editorial board advising the site ‘goes easy’ on Minister Joan Burton. “No, no — there’s a certain irony there alright,” Williamson laughed (Whispers ran at least six JobBridge themed stories this month alone). “She seems to be doing an alright job so as long as she keeps that up for the rest of the year, maybe she’ll be safe enough. The site has recently started running stories from a second writer, and Williamson’s been in contact with the Dungarvan Enterprise Board about the possibility of availing of grant money to take the service to the next level. The plan for the next 12 months is to extend the video aspect of the site, increase the roster of advertisers and “really just expand on what we’ve been doing well”. The editor-in-chief recently nailed down an advertising-for-office-space swap — and for the moment, can be found tackling the burning issues of the day Monday to Friday at Tramore’s Riverside Business Park. One of the week’s most popular Whispers headlines was “Priory Hall Developer Lands National Children’s Hospital Contract“. You can see what Williamson means by “that grain of truth people recognise”. Read: Does Michelle Obama think Irish people are “ugly m*****f*****s”? Email “Fake news site Waterford Whispers is planning to create some real jobs…”. Feedback on “Fake news site Waterford Whispers is planning to create some real jobs…”.